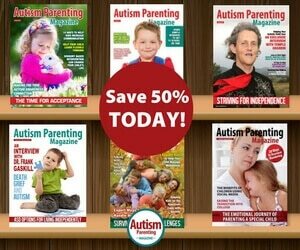 Encouragement Speaker Derrick Hayes gives an AUTISM Interview by asking six questions through each letter in the word AUTISM to give readers an insightful perspective from parents, experts, entrepreneurs and other leaders in the field. 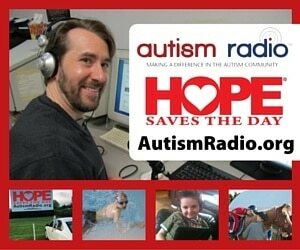 Today’s AUTISM Interview is with Amy Kelly who is a mother to Danny, Annie and Ryan. 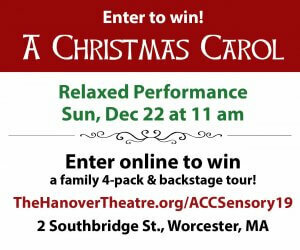 Annie is diagnosed with moderate to severe autism, verbal apraxia, intellectual and developmental disabilities and general anxiety disorder. 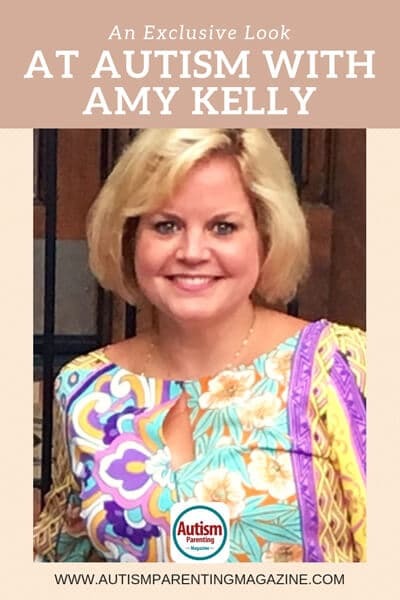 Amy is the Director of Family/Community Services for Devereux Advanced Behavioral Health, one of the nation’s oldest and largest non-profit providers of behavioral healthcare, and serves as a family representative on several special needs boards in the community, locally and nationally. In 2004, three weeks before the birth of my third child, my daughter, Annie, was diagnosed with autism (the day before her second birthday). What a frightening time for a young mother who had no knowledge of what autism even was. At her 12-month well visit, I noticed she wasn’t cooing or making good eye contact with others. By 15 months, we had Early Intervention (EI) in my house, sitting across from my own mom and me, telling us my baby girl had “overall global developmental delays— delays in every area.” I was heartbroken. My mom was furious. How dare they say something like that about her granddaughter! In hindsight, even though the message was difficult to hear, EI was a blessing. My daughter is where she is today, partly because of good Early Intervention. Autism is not an easy diagnosis. 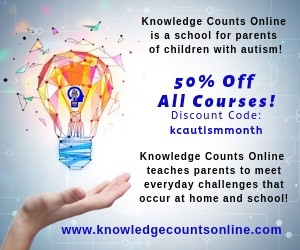 There are so many unknowns – the cause, the “cure,” the proper treatment, your child’s outcome. It can be tortuous if that is what we focus on but, at the beginning, that’s all I could see. Then, one day, I had my light bulb moment, gazing into my daughter’s beautiful blue eyes: This could have been me. I could have been the one born with autism, instead of my daughter. That realization allowed me to forgive myself (the guilt was there, even though I knew intellectually I didn’t do anything wrong) and accept my daughter for who she is— as a person first, who also has autism. I call many of the things Annie has taught us our “silver linings.” Humbling, everyday experiences that make me realize how big the little things truly are in life. I feel so honored to have such a wise teacher impart such an important lesson. My daughter Annie is one of my heroes. So are her brothers, Dan and Ryan. They are absolutely amazing with their sister. They have a bond I can’t explain or replicate. And they are all incredibly patient with one another. Annie is patient in trying to communicate or play with her brothers, and they are patient in always including her, teaching her new things, and helping her when she needs assistance. My children and their unique bond are undeniably my inspiration. Autism is a family diagnosis and a journey. There will always be things I don’t know, challenges to overcome and more for us to learn. Mostly, I worry about Annie’s future. There is a never-ending fear of not being there for my daughter, and I have done what I can to this point to ensure she will be cared for through a special needs trust and future planning. I am also very worried for Annie when she turns 21 and no longer is entitled to supports. 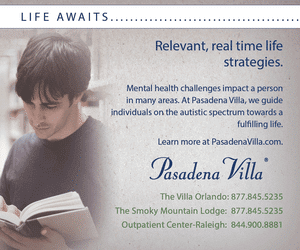 There is not enough funding, housing solutions or overall care for people over 21 with autism. The only way this will change is by parents advocating for more support through their state and local governments. Develop a family schedule everyone sticks to; use a visual version if you can. Some days, there will be new things that pop up, but waking up, school, homework, dinnertime, family time and bedtime should always be consistent and predictable. Find your silver linings. Remember— silver linings don’t just have to be about your family member with autism, they can be about anything. Doing this reminds us to stay present in our life and be grateful. Derrick Hayes is an author, motivational speaker and paraprofessional with Autistic Males in the Muscogee County School District in Columbus, Georgia. For contact or booking information visit www.derrickhayes.com, email info@derrickhayes.com or call (706) 615-1662.